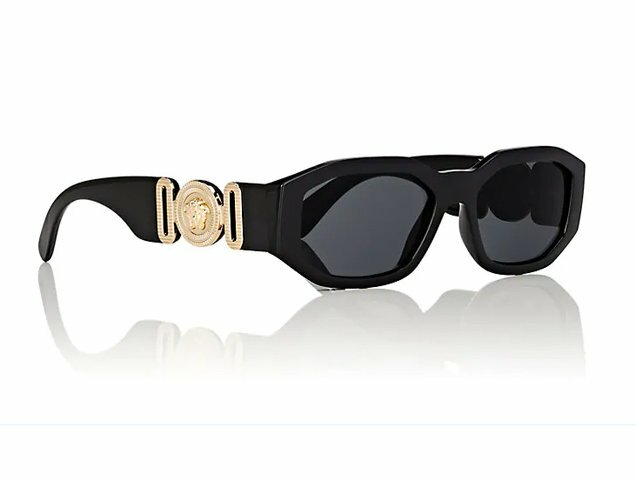 Versace Just Released a Limited-Edition Version of Sunglasses Worn by Notorious B.I.G. The Biggie sunglasses from 1990, worn in the video for “Hypnotize,” were redesigned in a hexagonal shape from its original curved frames. The new design retains the signature golden Medusa medallion on each side and will be available exclusively at Barneys and barneys.com (currently sold out) for one month only.